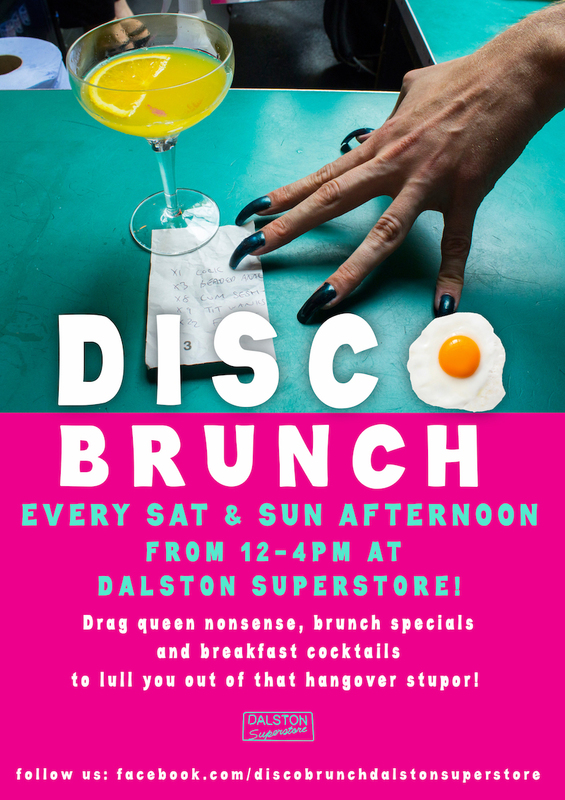 Every Saturday and Sunday afternoon Dalston Superstore presents Disco Brunch to lull you out of your hangover stupor! Expect all flavours of drag nonsense, gorgeous breakfast cocktails and brunch specials all day. Parties include Power Brunch, ShayShay’s Breakfast in Bed, Ask Dr Shaz and A Man To Pet’s Super Brunch. Follow the Disco Brunch facebook page for more information!